My team is building a double ball catapult, and we really don’t want to constantly change the rubber bands to keep them tensioned accurately, does anyone have a solutions? I was thinking maybe a different type of rubber band, but maybe there is a different solution? Why would you recommend Alliance blue? Is there a difference other than color? I’ve always used alliance orange - they’re great general multipurpose, they grip ok, they’re pretty resilient to being nicked and what-not, they’re a little soft for my liking, but have a pretty decent stretch and can stretch prettyyy far without losing the “bounce”. I think a lot of teams here have used alliance orange and they’ve been pretty ok - only downside is again, they’re kind a soft (don’t pull as hard). But, they do last A LONG time. We’ve had one bag open for about a year now and they have yet to turn into hard plastic. Thanks for all the quick responses! These are really helpful! Just to build onto what everyone else has said, the red/orange ones tend to be less stretchy and more grippy, and the blue ones tend to take longer to lose their tension. The black Crepe ones are even more consistent and lose their stretchiness even less over time, but they have less traction. Good luck! We have a team that has recently done a lot of experimenting with rubber bands. After interviewing a rubber band engineer (yes, there really is such a thing) what was discovered is placement is key. You want there to be almost no pull on the rubber band before pulling back. You also are better off with a shorter stroke and more rubber bands than a longer stroke and fewer rubber bands if consistency is the goal. The longer you stretch the rubber band in distance, the longer you stretch it in duration, and the more times you stretch it, the less consistent it will be over time. Our team that is using a linear puncher was needing to change rubber bands in practice after the equivalent of after each match. After making changes on the robot, they did not change them at all at a tournament where he had 10 matches plus practice, skills, and eliminations and the puncher was rubber bands were consistent all day. are these the black crepe ones? Size- 3-1/2" x 1/2" - 1/32" Thick Qty- Approx 252 pcs per Bag The Premier Of Rubber Bands. Highest Grade Natural Rubber. 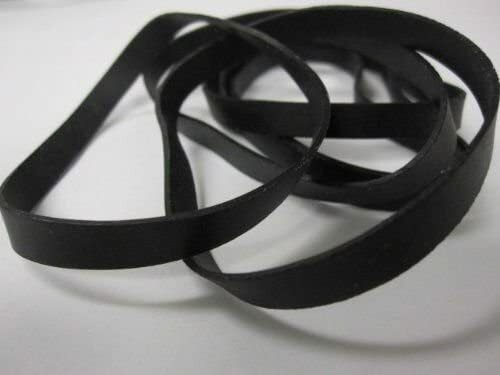 Exclusive formula of Band-it Rubber Company. i was at a competition recently and saw a team that had a two ball catapult using pneumatic tubing (not a pneumatic piston, just the tubing instead of rubber bands) this team won the tournament, and it is legal because the rules do not specify what you have to use the tubing for, does anyone have any insight? More than likely, they were using surgical tubing as opposed to pneumatic tubing. This is completely legal. It’s a catapult, not a puncher, i ordered the fisherman ones, i will send videos when catapult is finished.